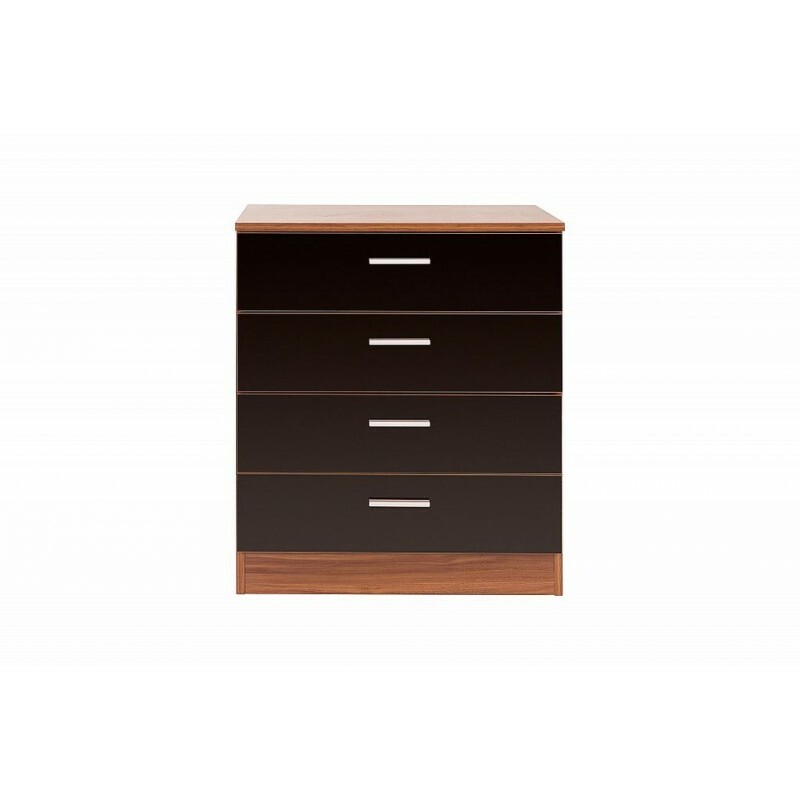 WIth the usual high gloss finish and oak veneer sides, this Ottawa black and walnut chest of drawers is the perfect addition to any bedroom. 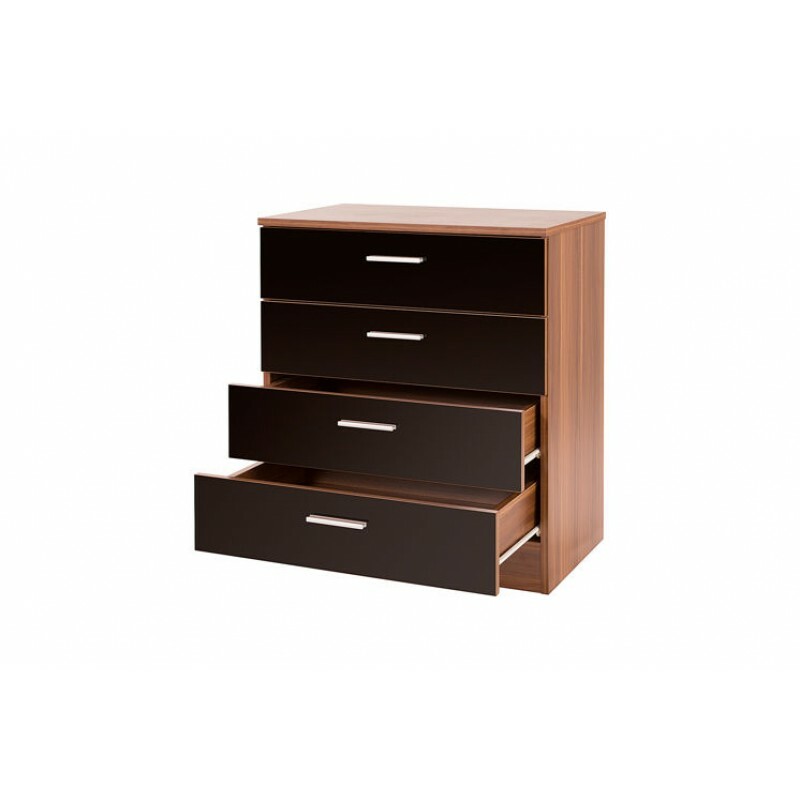 The four large drawers give enough storage area to keep your bedroom looking tidy all year round. The dark colours and sleek metal handles are sure to add class and sophistication to any home. 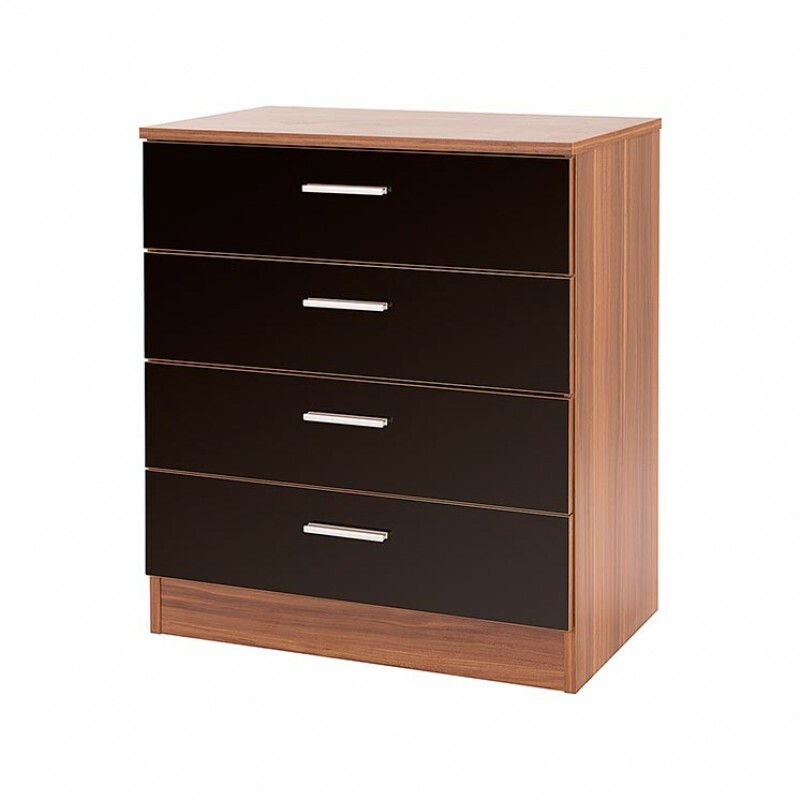 Ideal to match it with our other units in the Ottawa range, however, it is perfect alone too. 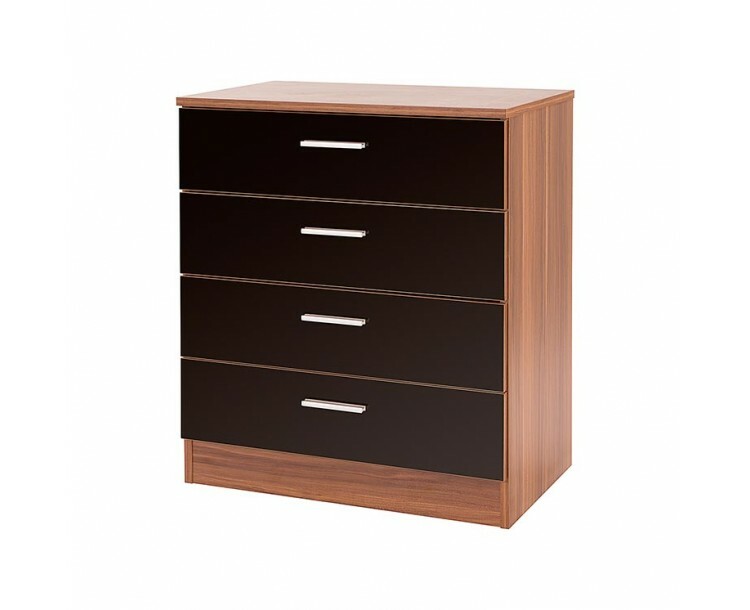 Crafted from Particle Board and Veneer and comes with Metal drawer runners. Easy to assemble, instructions are provided with the product. All Mainland UK deliveries are FREE, it may take up to 2-3 working days. All deliveries to England, Wales and selected areas in Scotland will be done via our national courier delivery service, all other areas please contact us see our Terms & Conditions for more information.